← Red Bull: Let’s Jump INTO a Moving Plane! Consumer taste trends are moving to healthy and natural foods. Nutrition and energy bars are a still-growing industry segment that is particularly appealing to Millennials. Yet, many of the older, established CPG firms struggle to attract and retain sales from that market segment. What should a company do? While it can certainly develop new products, market adoption of the new products can take valuable time and development itself takes resources and money away from a company’s established products. A fast way to enter a new market with a new product is through acquisition. 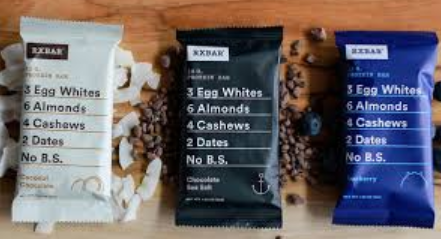 Kellogg recently took just this approach and acquired the very trendy RXBAR nutrition bar brand for a cool $600 million. The four-year old company currently has built its sales up to about $120 million and has added a children’s bar line, also. Discuss the four primary marketing strategies: market penetration, market development, product development, and diversification. Which strategy did RXBAR use? Which strategy is Kellogg using? Divide students into teams. Have each team select one of the four different strategies and explain why that strategy could be used to market RXBAR. Have each team determine the marketing mix (4Ps) to support their strategy choice.